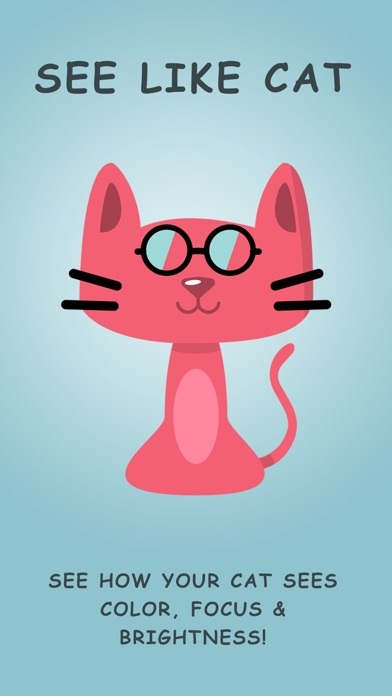 See color how your cat sees! Now "See Like Cat" Ever wondered why your cat doesn’t see something you see, wonder no more. 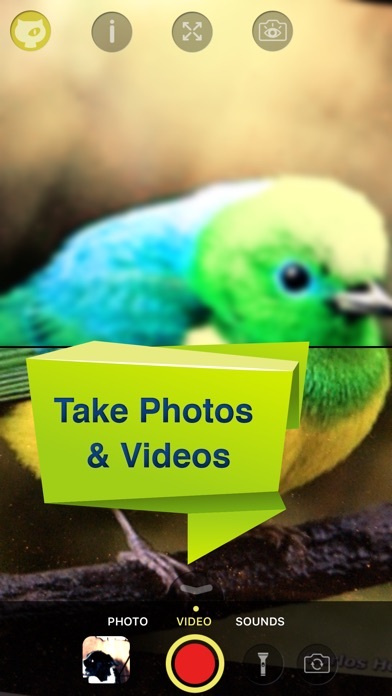 With Cat Vision App you can use your iPhone’s Camera to see the world how your cat sees color, acuity (blurriness) and brightness. Features: - See how cats see color - See how cats don't have good acuity - they see things blurry compared to us. 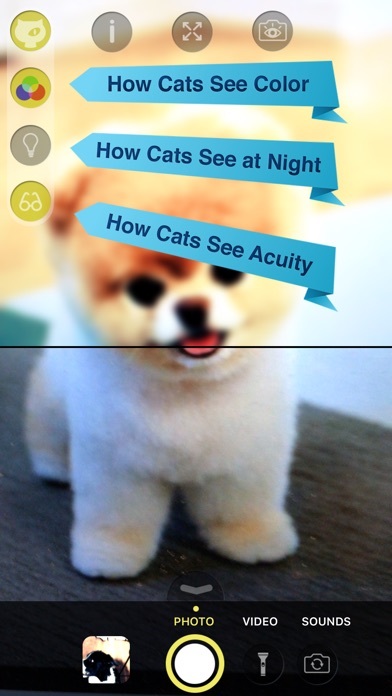 - See how cats see better at night - Take a picture or video of how your cat sees - share on instagram, facebook or twitter - have fun with the cat keyboard Also Check out Dog Vision - https://itunes.apple.com/us/app/dog-vision-hd/id812260666?mt=8 Not just a fun toy, it can help you see why your pets find a toy more interesting or have problems navigating space. Thats now how cats see at all. had so much fun using the cat selfie! No wonder my cat is a psycho. Cool app! Fun to see as my cat sees. Didn't realize how poorly cats see. 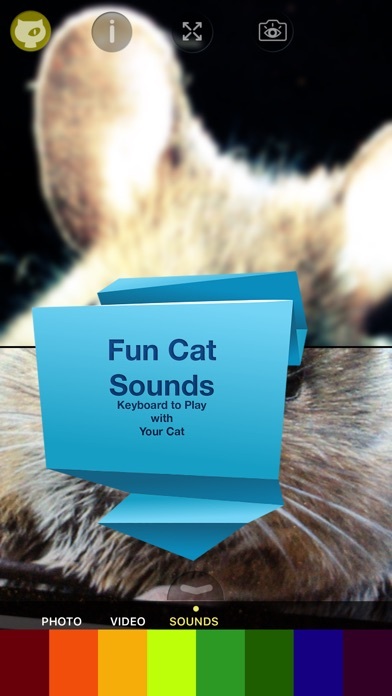 Fun app! It's like X-ray glasses and night vision in one!